So who’s the guy at the fourth selection? 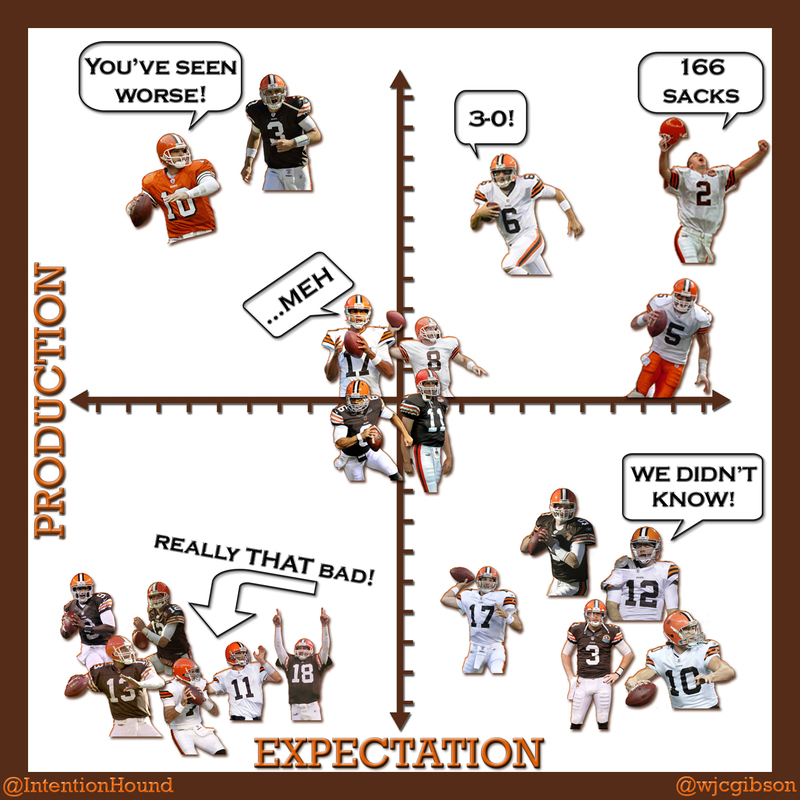 Final call at #4 – Who are the Browns going to take? Enough of this speculation, the time has finally come to make my official prediction regarding who the Cleveland Browns will choose with the fourth overall selection of the 2014 NFL Draft. Clearly, they can go a myriad of directions but they need a impactful playmaker who can excel over a long period of time. Again, the ideal scenario is that the franchise secures their signal caller at number four and can worry about other positions for years to come. However, I’m buying into (which could turn out to be erroneous) the hype that the Browns will wait to take their quarterback. Therefore, that reduces my options to just two players. 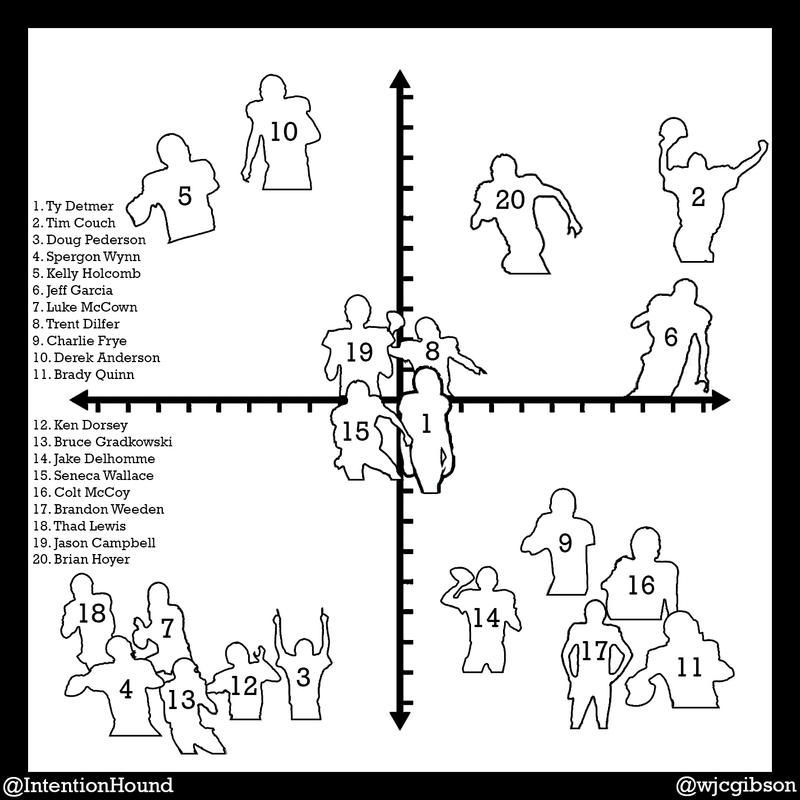 On the offensive side of the football, wide receiver has become the second most important position – after the quarterback. Despite featuring one of the best in the league (at this spot) in Josh Gordon, the team could still use another guy in the huddle to put fear in their opponent. That guy is Sammy Watkins; the dynamic standout from Clemson. He is not as tall as Gordon (just under six-feet, one-inch), but his skill set – which features break-away speed – is very complementary. Defensively, terrorizing quarterbacks is the name of the game. Some have argued that Jadeveon Clowney may not be the best pass rusher available in this draft – that distinction lies with Khalil Mack. He has tremendous measurables (six-feet, three-inches and 248 pounds) while flashing brilliance last season. Would the team take a guy in the same position as they did in 2013? Is passing on Mack a wise idea? The defender’s presence could really help transform this franchise. I understand the receiving crop is very deep, but my gut feeling is that the Browns will take Sammy Watkins with the fourth overall selection. The thought of him, Gordon, Andrew Hawkins, Ben Tate, and Jordan Cameron makes me smile. This might be the most talented offense the Cleveland Browns have had since probably the 1980s. Obviously, they have to still have to put it together on the field – but I would be willing to roll the dice with these athletes. Once again, the Senior Bowl is almost upon us. A week of practice and a contest on Saturday, January 25th, gives NFL scouts and talent evaluators an opportunity to talk to players and see how they perform against some of the best athletes exiting the NCAA. The next two upcoming blogs will mention a few guys the Cleveland Browns should take an in-depth look at. Up first is the offense; the side of the ball that will need to see more personnel upgrades before the first contest in September. I left off fullbacks, as this team will likely not draft one and they do not have an expanded role in this offense. Quarterbacks: Tajh Boyd (Clemson), Derek Carr (Fresno State), David Fales (San Jose State), and Jimmy Garoppolo (Eastern Illinois). – Analysis: There’s no doubt that the Browns will draft a signal caller early in the upcoming draft. However, I believe it will be an underclassman with their fourth selection. That likely eliminates Boyd and Carr from the draft board of the Browns, as the former could go in the second or third round and the latter could be a late first round pick. Nonetheless, I still hope the team looks at these guys. Do not be surprised if the franchise drafts another signal caller later (fifth to seventh round) and choose to develop him down the road. This is where Fales and Garoppolo can come into play; I was impressed with both this year – it will be interesting to see if this continues in Alabama. Running Backs: James White (Wisconsin), Marion Grice (Arizona State), and Antonio Andrews (Western Kentucky). – Analysis: Judging by the futility of the running attack last season, the Browns will be in the market to complement Dion Lewis. They do not value this position too greatly, so if the front office uses anything earlier than a third rounder – it would be a shock. The three guys are all smaller, quicker athletes who can be productive. I could see the Browns utilizing either one of their third or fourth round selections on a guy who “takes pressure” off the 2014 quarterback. White has played against the best competition, while Grice is coming off an injury. Could Andrews be a sleeper, as he is coming from a small university? This is where homework can come in handy when the draft rolls around. Wide Receivers: Jordan Matthews (Vanderbilt), Jared Abbrederis (Wisconsin), Kevin Norwood (Alabama), Mike Davis (Texas), and Shaquelle Evans (UCLA). – Analysis: At the wide receiver position, there’s Josh Gordon and then a bunch of guys for the Cleveland Browns. The team will probably cut ties with a few athletes and will need to replace them with bona-fide options. I believe the team will either use the twenty-sixth selection or their second round pick on a wide receiver. From this group, and assuming a few guys like Allen Robinson and Marquise Lee are off the board, I would love to see the team pick up Matthews. He has been excellent playing against the best conference in the country. Abbrederis has definitely been underrated this season and abused early-round draft prospect Bradley Roby earlier this season – I would spend a middle-round pick on him. The other three are likely complementary pieces, which can still be upgrades over Greg Little and Davone Bess. If their play and attitudes in Mobile stand out, the Browns might pick one in the later rounds. Tight Ends: C.J. Fiedorowicz (Iowa), Arthur Lynch (Georgia), and Jacob Pedersen (Wisconsin). – Analysis: The emergence of Jordan Cameron last year may deemphasize the need to improve the tight end position via the NFL Draft. I would be surprised if the front office decides to use even a middle round selection on this position, but all bets are off on the later rounds. I could see one of these three guys replacing either Gary Barnidge or MarQueis Gray next season – depending on the type of offense the next coach wants. Along those lines, the scouting department would identify which of these three stand out (if any) and should he be available on the third day of the draft, pick him as a supplement to Cameron. Offensive Line: Centers – Tyler Larsen (Utah State) and Travis Swanson (Arkansas). Guards – Cyril Richardson (Baylor) and Gabe Jackson (Mississippi State). Tackles – Jack Mewhort (Ohio State), Zack Martin (Notre Dame), and Morgan Moses (Virginia). – Analysis: This part of the Cleveland Browns’ roster is the most difficult to predict for a few reasons. Will the team re-sign center Alex Mack? Would Mitchell Schwartz move inside and play guard? The Browns can do anything in May, including picking one to three offensive linemen – and in all three positions. Richardson has been dubbed as one of the best pro prospects and could be taken by the Browns with their second choice (if that’s their direction). I like both Martin and Mewhort as options to replace Schwartz on the right side, but the front office may not agree. Of the centers, both are viable options that could go between rounds two and four; perhaps they can be day one starters if drafted by this front office. Conclusion: There are multiple guys that must get a further evaluation this week in Mobile. Having two picks in the first, third, and fourth rounds give the team a lot of flexibility. Making smart decisions begins at the Senior Bowl; not all of these guys will be evaluated as highly as their counterparts (who were not invited), but as general manager Michael Lombardi knows – it’s all about value in the NFL Draft.